Kansai, an area relatively close to Kyoto and filled with historical buildings and sightseeing spots. This time, we picked 7 festivals that are held in Osaka and Hyogo. Festivals are perfect to learn history of the city! The origin of the Kishiwada Danjiri festival is said to have begun about 300 years ago, the “Inari festival” that Kishiwada lord Okabe Nagayasu wished for fertility. Also, another theory holds that about 260 years ago, Chaya Shinemon, who saw the Osaka festival asked the lord to hold a donated lantern for the summer festival, and was permitted marking the origin of the festival. In the initial years, it is said that they played drums around the city by putting them on a car with kagura shihi dancing around. The Kishiwada Danjiri Fesival know to the general public is the one held in September but another festival is held in October as well. There are several districts in the Kishiwada City, largely separated into “Hamate” and “Yamate”, and the September Festival is held at Hamate while the October Festival is held at Yamate. Kishiwada Danjiri Festival is a name for all the festivals in all the districts. While Danjiri Festival is a brave festival, it is not rare for a bystander to be injured. It is dangerous to watch the festival on stepladders and while using umbrella so make sure to close them. Make sure to keep the road wide and clear for the Danjiri to pass by and please pay close attention to staff and police’s instructions. The highlight is where floats and stalls change their directions at a corner. You cannot get the full experience unless you see it live! Shitennou Temple was built on the year 593. Inside, they worship Shitennou Temple Shikikyara and Prince Shotoku’s soul. In addition, there is a treasure hall where they store over 500 historically significant treasures. At such place, a festival called “Daishie” is held. Daishie is held every 21st to remark the date legalist Kukai passed away. “Taishie” is held every 22nd to remember Prince Shotoku for the same reason. On the day of festival, there will be various stores inside the premise ranging from old kimonos to vintage accessories and even bonsais. There will be food stands as well so no need to worry about lunch if you start becoming hungry. It is said that Aguchi Shrine was built under the order of Jingu Kougou as a shrine to protect the entrance of Osaka Bay. Aguchi Shrines worships Shiotuchi no Oji no Kami, Susanoh no Kami, and Ikutama no Kami. Ootera Engi Emaki and Emperor Fushimi Song Books, and Yoshimisu Short Katana stored in the shrine are all important cultural assets. The origin of the name is that the said shrine is the goddess of Izumi Sakai Namso and that she is opening the door to the ocean. Another theory is that Shiotuchi no Oji no Kami had never opened his mouth but when the Jinko Empress sent dedication to the god, he opened his mouth for the first time. Hassaku Festival is held at Aguchi Shrine at Autumn to make the bond between people stronger and to wish for fertility. 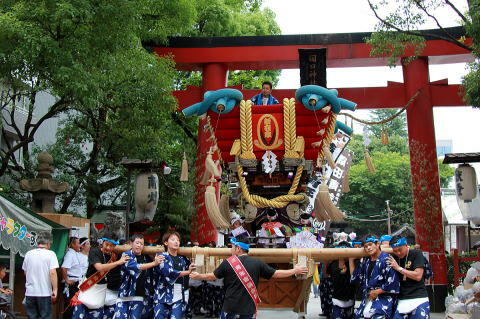 At the annual festival, the oldest Futon Taiko is carried out. Futon Taiko is a type of large taiko stand used as a decorative float for the festival. A large mikoshi is carried around with togyo with over 300 years of history towards the Minami Hata Gochou Nishi’s Ashihara Otabisho putting Houren as their center. It used to be done on August 1st on the old calendar but after Meiji Era, it switched to September 12th. Houchigai Shrine’s Autumn Festival is held to thank for the fertility over the course of 3 days. Numerous babies from the city enters the Yoimiya. Babies are seen as a sacred kind due to their innocent bodies and mind are very precious. It is told that gods borrow the baby appearance thus making them an important part of festival since the ancient time. On both days of Yoimiya and Honmiya, futon taiko goes around the town showing its brave to Houchigai Shrine as it enters the premise. 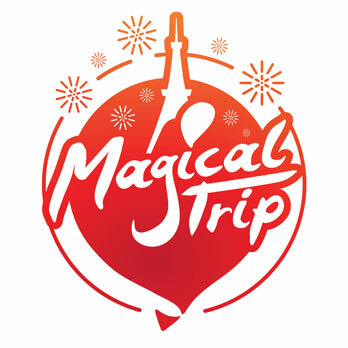 In addition, there will be volunteers dancing Suzume Dance at Honmiya. Houchigai Shrine is famous for not having a direction making it perfect to exorcise any bad luck that’s supposed to come from a certain direction. It is also told that it grants fortune when going on a trip or moving houses so people come for that purpose from all around as well. Doumyouji Tenmanguu has established itself as Hajishi’s Ujigami and with the addition of Sugawara no Michizane in the line, became Tenmanguu. In the treasure museum here, there are various precious cultural assets such as Den Kanko Ihin which is a national treasure. It is also famous as a plum spot as well. At Doumyouji Tenmanguu, shinji takes place every September 1st. The said shinji is the Hassaku Large Festival. At this festival, there will be Hassaku Festival to wish for fertility in addition of the dedicated sumo. It is said that the dedication sumo started because there is Nomi no Sukune, the father of Sumo, in the ancestral tree of Lord Doushin. 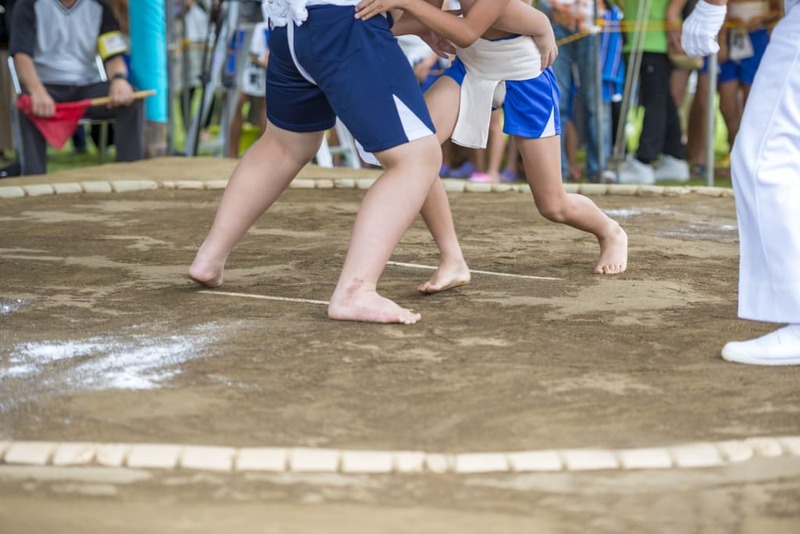 the sumo has been a part of festival since the Edo Era, it takes the shape of sumo tournament for elementary school children wishing for protection amongst the young generations. 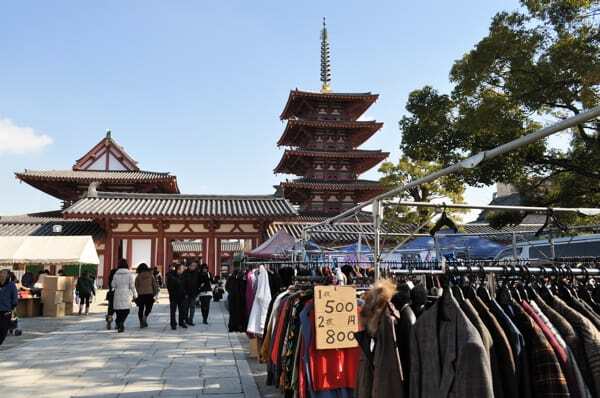 The actual festival will be carried on the main shrine and Doshi Shrine. In front of the Doshi Shrine, there is a hand print of current Sekitori “Hana no Kuni” so make sure to check that out when visiting! Mt. Myouken is 660m tall in Nose City, Hyogo prefecture, and on the peak stands the Myouken Palace, a shrine of Nichirenshuu. The official name is “Murouzan Shinnyoiuyji Keigai Butsudou Nose Myoukenzan”. It is told that it opened in the Nara Era by Gyouki and is loved by people with the name of “Myouken-san of Nose”. People visit wishing for fortune in; academics, dream, traffic safety, and fertility. The Hassakue Large Festival held here has a history of 400 years and has become an event that represents the mountain. Hassaku means the August 1st on the old calendar. In the old days, there was a culture of sending the first grain to person who owns their fortune to. The said culture is known as “Ta no mi no Setsuku”. In addition, in Japanese, because “Ta no mi” and “ask for favor” is pronounced the same, it takes the form of a day to present their will of thank to those who owe by the samurai families. From there, it has become the Hassakue today to thank Myouken-san for the everyday fortune and further fortune and prosperity. 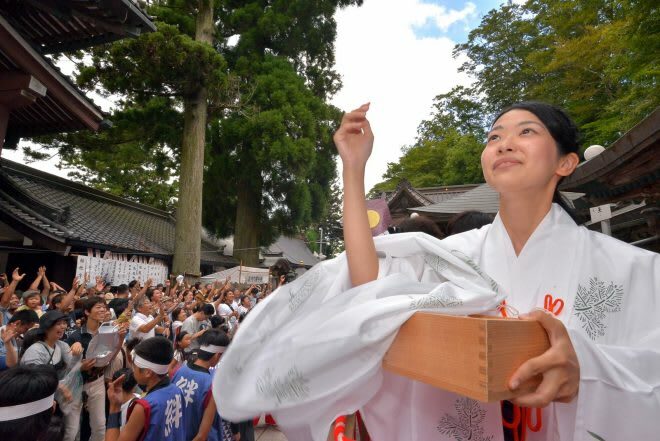 On the day of Hassakue, there will be dedication of Taiko and hula dance, fortune Mochi spread with lottery, and Hoshi Market where they sell vegetables and food at the front of Shrine gate. Konda Hachimangu is the oldest hachimangu within Japan built during the late 6th century under the order of Emperor Kinmei. The main deity is Emperor Oujin. In the medieval, it was worshipped by the Genji Family as their Ujigami and after the Kamakura Era, visitors become more common amongst the Genji Ichimon, Shoguns from different ages, and general samurais. The main temple and the worshipping hall was rebuilt by Hideyori Toyotomi in 1606. In the treasure hall within the premise, there are numerous treasures stored such as Minamoto no Yoritomo’s Chiri Raden Kondousou Sinyo and Kondou Sukashibori Kurakanagu recovered from Maruyama Kofun. 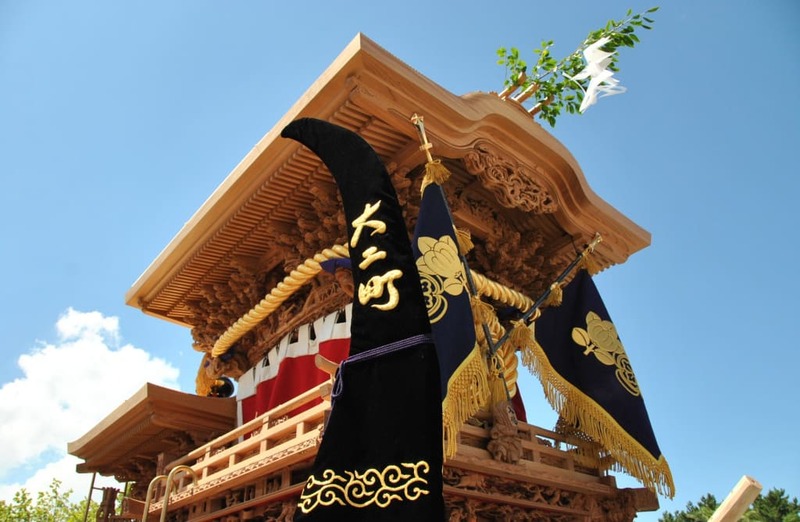 In the Konda Hachimangu’s Autumn Festival, there will be a ritual where the mikoshi travels towards Oujinryo Kofun. By going under the mikoshi, you can earn the fortune of good health over the next year. The highlight of the festival is Jisha Rokou so make sure to see its majestic standing up close! Of course, just like any other festivals, there will be food stands and stores on the sides of the streets.